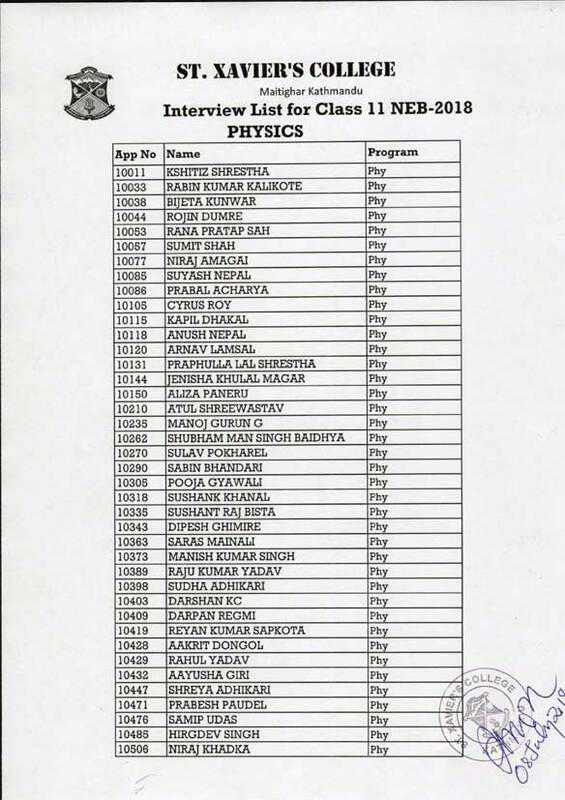 St. Xavier's College , Kathmandu has published the results of +2 Science Entrance Examination 2075/ 2018. 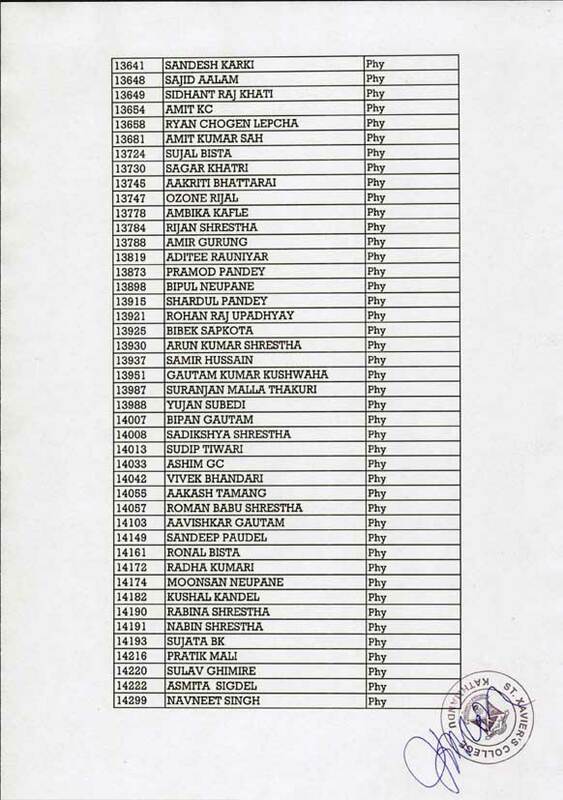 On the basis of the Admission Test conducted on 7th July and the SEE marks secured by the candidates, the following candidates have been selected for the INTERVIEW. 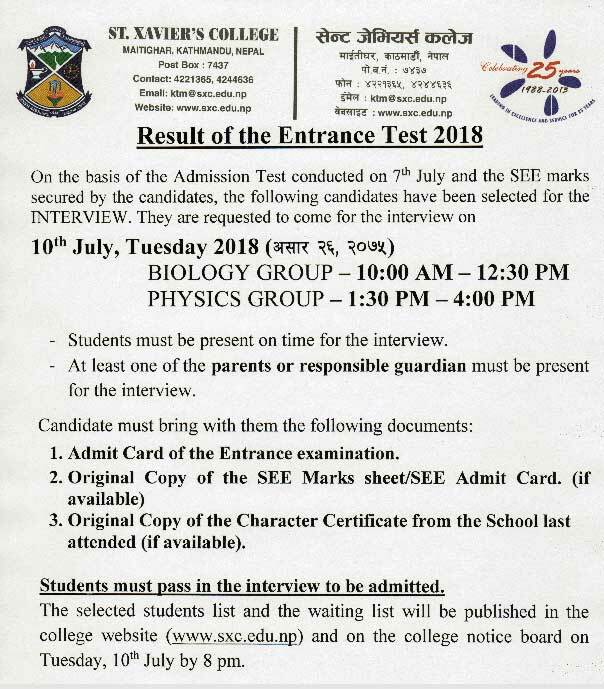 They are requested to come for the Interview on 10th July, Tuesday 2018. Interview on 10th July, Tuesday 2018. > Students must be present on time for the interview. > At least one of the parents or responsible guardian must be present for the interview. 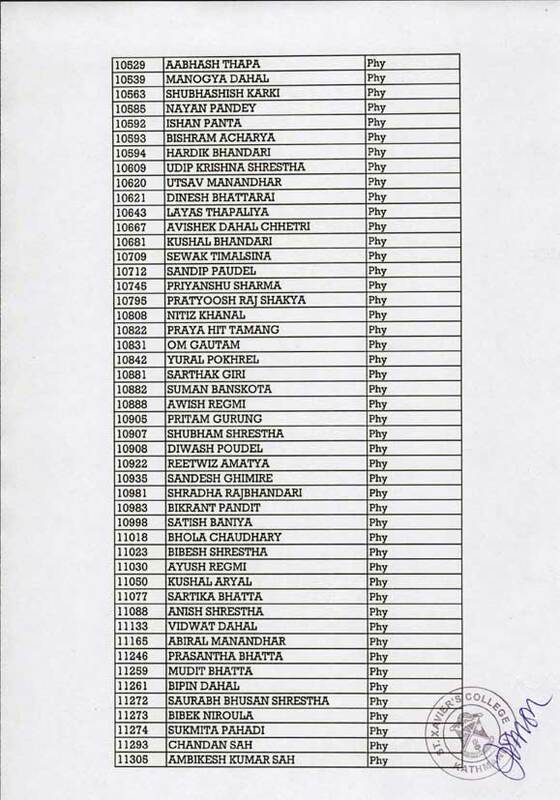 > Admit Card of the Entrance examination. > Original Copy of the Character Certificate from the School last attended (if available). 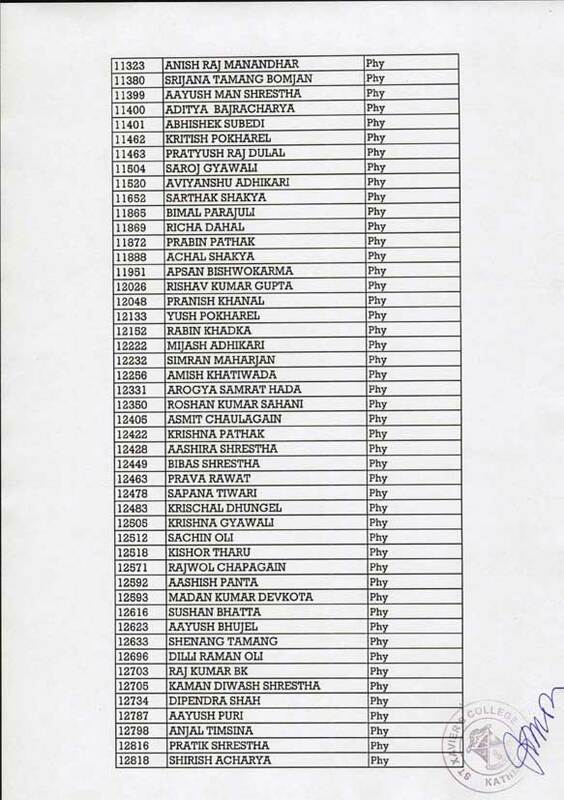 Students must pass the interview to be admitted. 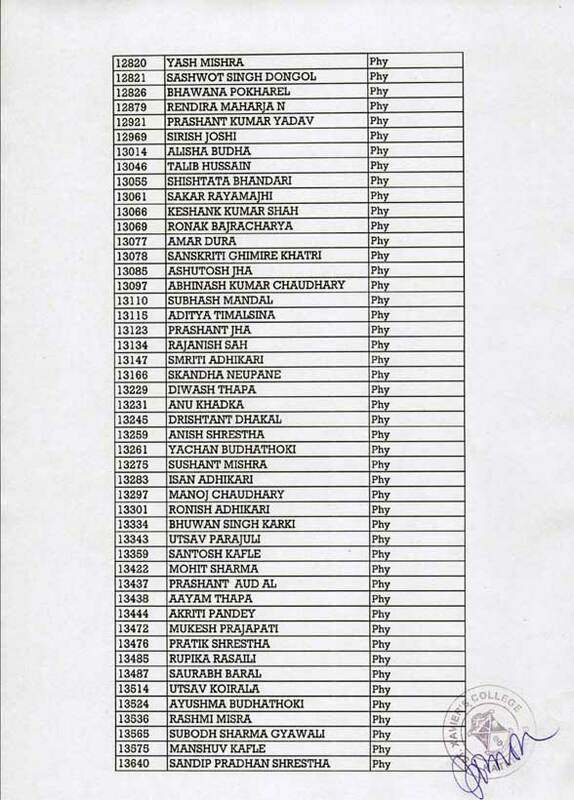 The selected students’ list and the waiting list will be published on the college website (www.sxc.edu.np). and on the college notice board on Tuesday, 10th July by 8 pm.